2018 Region 10 Summer Regional in Houston with the incomparable Ryan Heller! 2017 Region 10 Contest in Houston. CCSC placed 3rd in our division, and was named the "Most Improved Chorus." Thriller Flash Mob in City Park! Yes, we dance too! 2015 Halloween Show - Wacky Galactic Tours! Positively goulish! 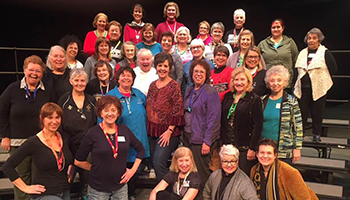 Crescent City Sound Chorus rehearsals are Mondays at 6:30 pm at Delgado Community College, City Park Campus, third floor, Music Room. 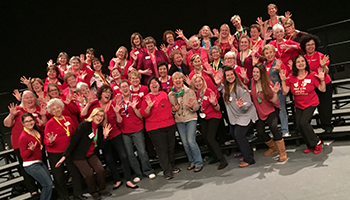 LET Crescent City Sound Chorus SING FOR YOU! We love to entertain by putting on our own musical events each year for the community, our friends, and families. We send singing telegrams, singing valentines singing valentines, and other events. Please contact us to sing at your next special event!